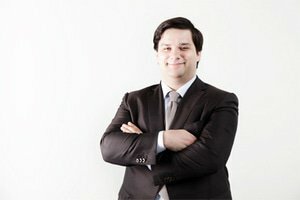 A US district court judge has ordered a freeze on all of Mark Karpeles' assets held within US jurisdictions. Mark Karpeles, CEO of Mt. Gox, a now bankrupted Bitcoin exchange, has been put on a financial lockdown after a lawsuit brought charges of fraud by those who believe he was directly responsible for the collapse of his company. In February, 2014, Mt. Gox declared bankruptcy after claiming that an online attack brought down their treasury of 850,000 Bitcoins (worth more than USD$350 each at time of writing). Fellow US citizen Gregory Greene is spearheading the suit against Karpeles after reportedly losing more than $25000 of his own money. The asset freeze gives the chance for lawyers to order financial documentation to allow for research into the fraud allegations against Karpeles. Some suspect that the coins lost in the alleged attack have actually moved into accounts that are indirectly tied to the CEO alongside further accusations that direct embezzlement had taken place from those who lost their own money in their Bitcoin mining efforts. "Money is moving around as we speak, Bitcoins are moving around accounts associated with Mt. Gox...Something is not right so we urgently need to get to the bottom of this quickly," said Chris Dore, the lawyer for Mr Greene. Even though Bitcoin has proven to be a volatile and several times been shown to have been exploited, it still continues to grow in relevancy as it has become an accepted form of payment on many sites with some dealing exclusively in the digital currency. Online sportsbooks, like Bets365 and Bodog, accept the currency through their online and mobile sites. Bitcoins are not a completely recognized form of currency by governments and regulatory agencies so transactions aren't tracked as closely as they are with other forms of payment. This makes tracking the path that the Mt. Gox coin has taken quite difficult.